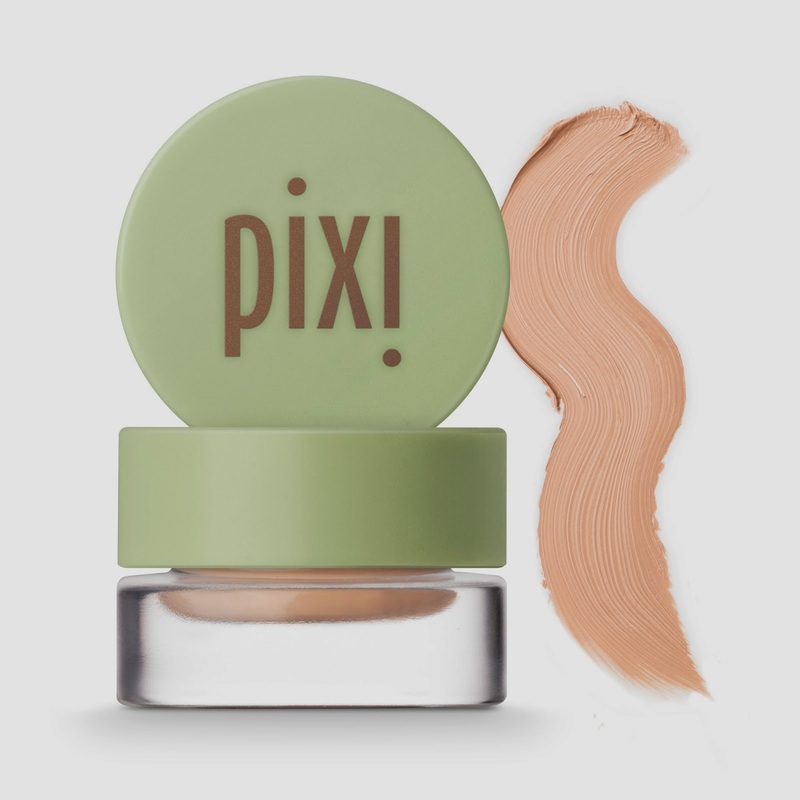 Pixi is sending quite a few new items to Target's shelves this fall. 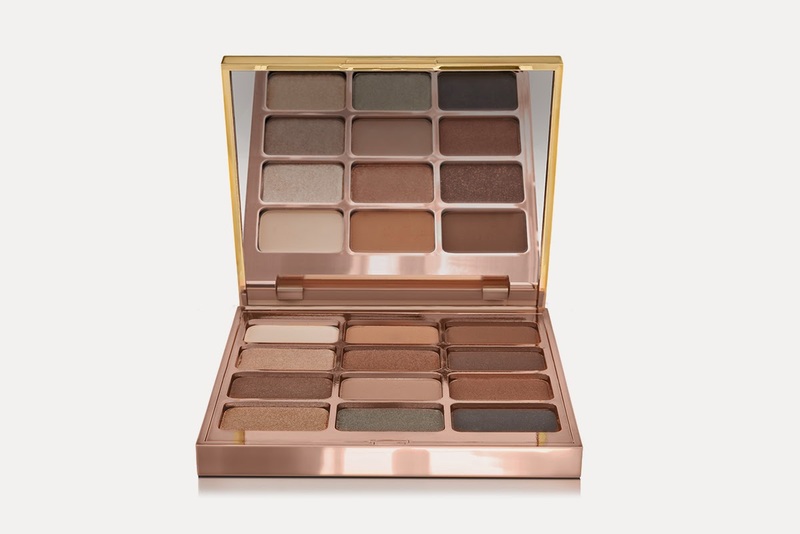 Two new eye palettes and an Endless Silky Eye Liner , one of the best eyeliners out there, among them. Here's a look at several of the new items. Not shown are new Fairy Dusts, Nail Polishes , Combo Crayon & Quick Fix Powder. 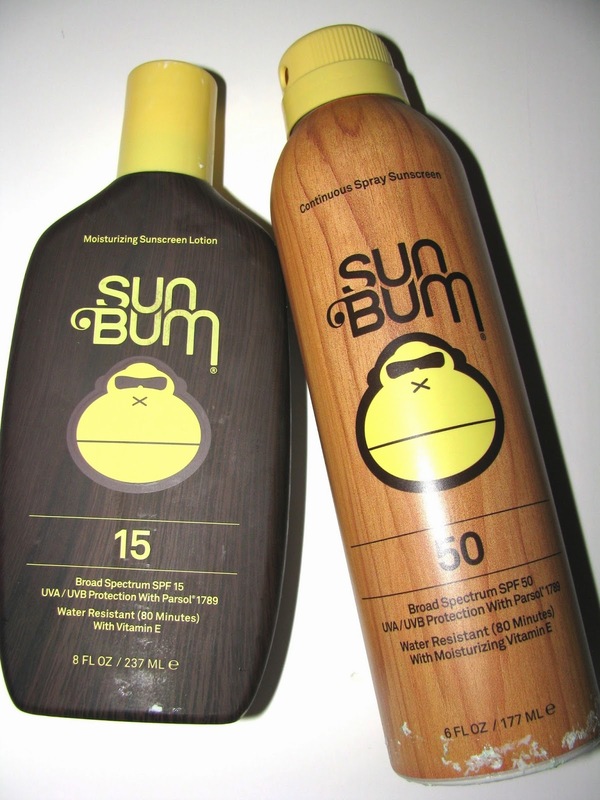 The name Sun Bum conjures up carefree beach days with the breeze blowing as you wade into the surf. Whether you're a beach person or not, more than ever we need to get that SPF on. So why not be a Sun Bum every day ? Rounding things out are a physical zinc and titanium dioxide based Premium Endurance Stick ,part of their Pro line for all over water resistant coverage ( $ 14.99) and Continuous Spray , a chemical based SPF 50. ( $ 15.99). AG Hair has a new helper if you have the hair frizzies or just want to tame flyaways. Smoothing Balm, made from 90 % natural ingredients is an lightweight but emollient cream with organic Argan , Marula and Mongongo oils , that polishes and smoothes hair. AG says that it is light enough to be reapplied when needed throughout the day even. 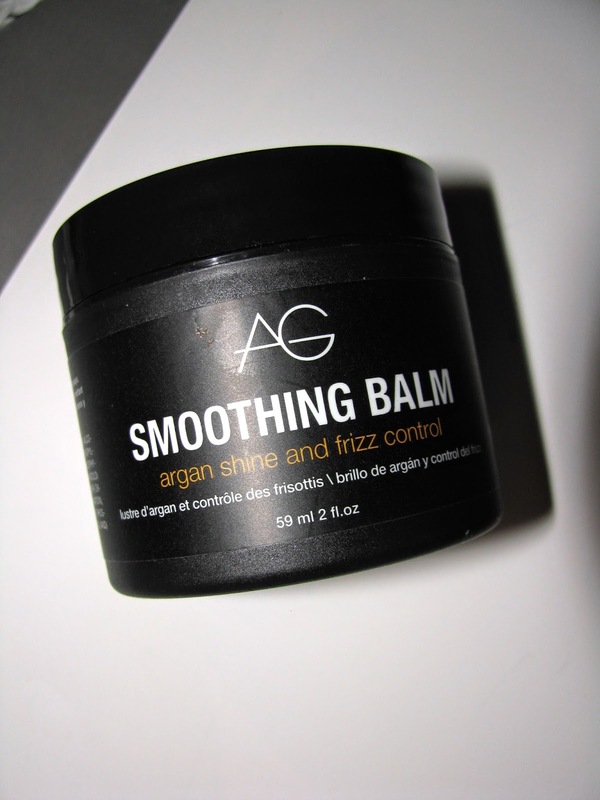 You can find AG at Ulta and AG Hair Smoothing Balm is $22 for a 2 oz tub. 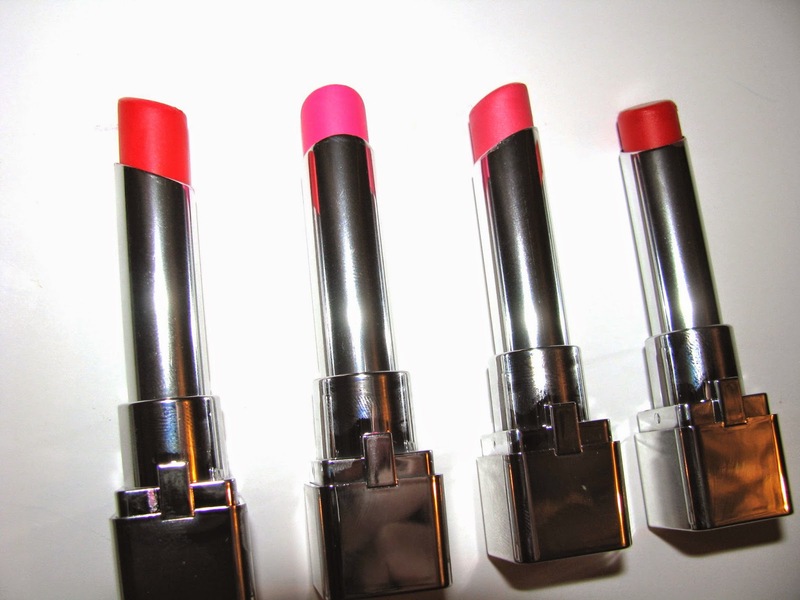 Get a punch of lip color with L'Oreal's new Color Riche Pop Balm. 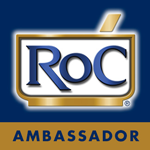 In the vein of their original Color Riche Balm, Pop Balm is very moisturizing ( jojoba oil and shea butter) and creamy with a slight sheen on lips but different from Color Riche , Pop has deeper pigment and semi opaque coverage. There are six new shades in all, I have four here. All give a nice bright lip look but nothing too bold. 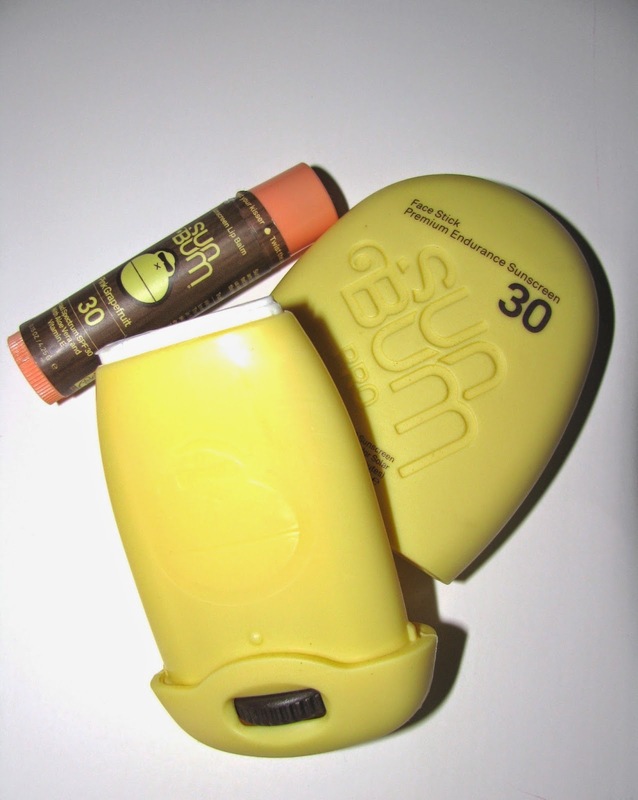 As a fan of any tinted balm, and of the Color Riche ones, I easily loved these. While I like all balms, the deeper the tint the better to me. 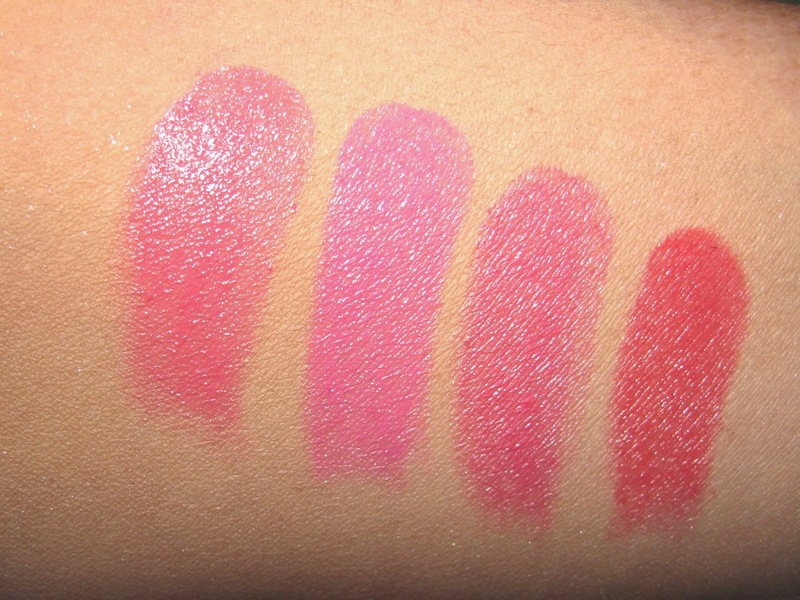 Perfect for quick burst of color now, and when Winter does come, these are just the kind of lip product for cold days. You get good color and moisture in one. L'Oreal Color Riche Pop Balm is 7.99 and available now. Color Frenzy is a fairly new collection from Sally Hansen of fun glitter and texture polishes. Of the three I have there are varying sizes of glitter or pieces and each goes on a bit differently. Candy Drops is a barely there look while the others are more but still need a couple coats to get all the texture. These make a fun , easy look or a cool topcoat. Shown are Candy Drops, Sea Salt and Fruit Spritz . Things look extra rosy on July 30th. That's when L'Occitane's newest rose scent launches, Roses et Reines. You may recall the previous Roses 4 Reines. This is the same with a new name . As a rose lover, I'm naturally inclined to love this, but even the Dad thought it smelled lovely and he's not exactly a rose guy. 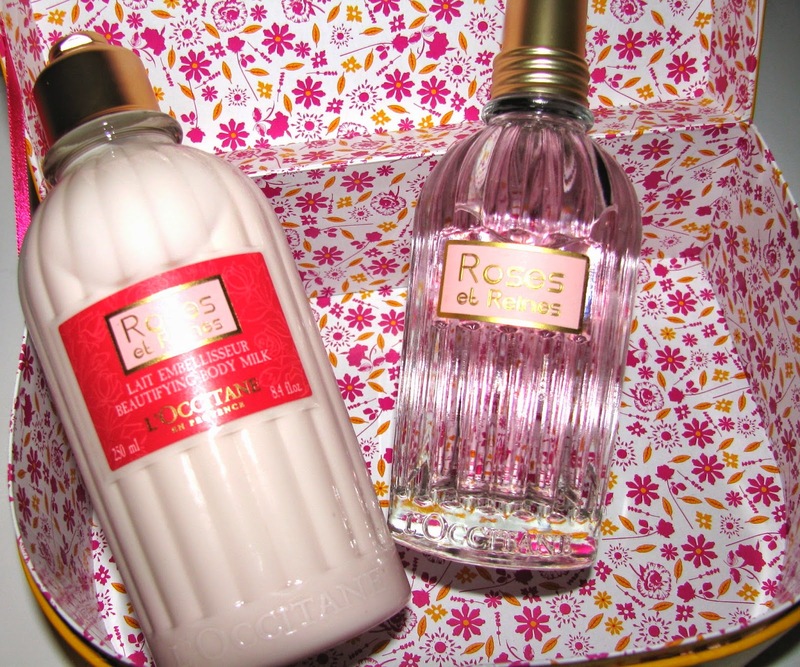 Roses et Reines combines four rose varieties from Grasse, Bulgaria, Morocco and Turkey. All the best roses , basically, extracted using a new variation on the traditional enfleurage method. The scent is light and obviously very rose, but also has hints of citrus and blackberry with musk at the drydown . It's easy to wear, soft and seasonless. It will work now as well as when the temperatures drop. Roses et Reines comes in a full complement of products including the iconic L'Occitane shea hand cream, EDT , Solid Perfume, Body Milk , Soap , Bath Gel and more. Prices range from $ 8 for the Extra Gentle Soap to $ 25 for The Beautifying Body Milk . It's in the 90s again today. 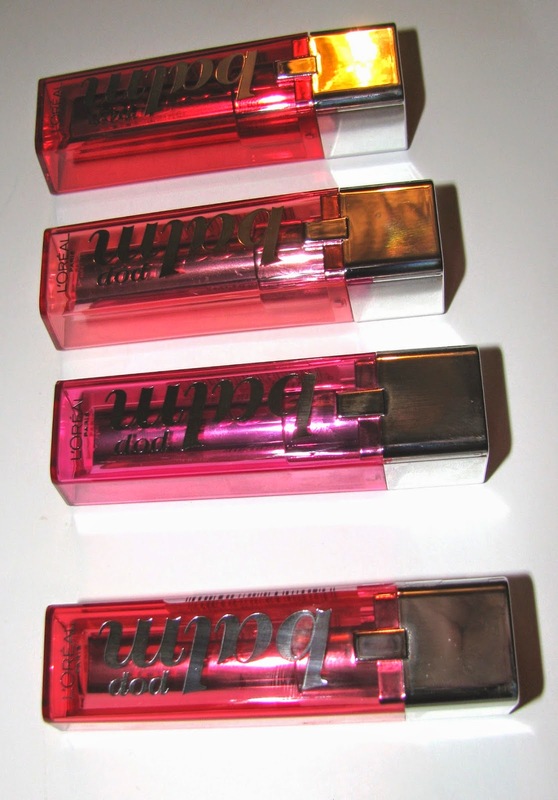 You know, the melting heat that makes your lipstick suddenly feel like you have gloss on instead? 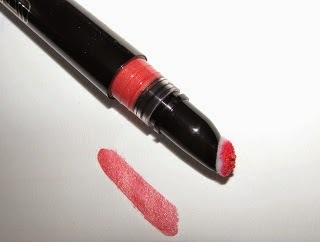 Lips- Hourglass Aura Lip Stain- Unlike a lot of lip stains this doesn't feel dry on lips and isn't sheer. It also doesn't melt in the heat . 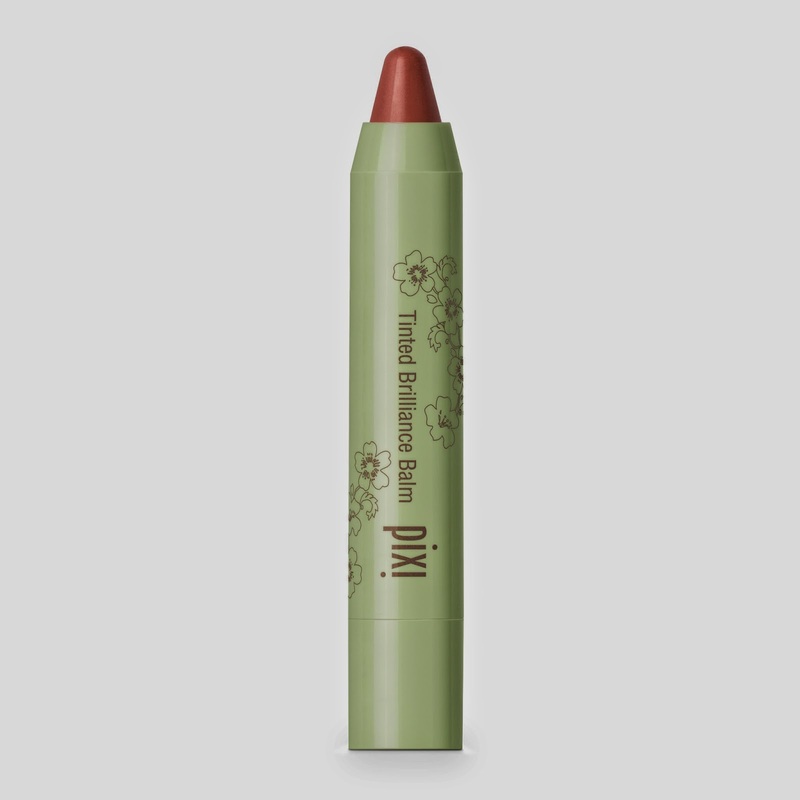 With medium pigment and a waterlight feel it lasts longer than gloss and leaves no sticky mess behind when it does begin to wear off. Foundation - Many might skip foundation in the heat. I'm not one of them. I want a base and need it to help keep the oil at bay . 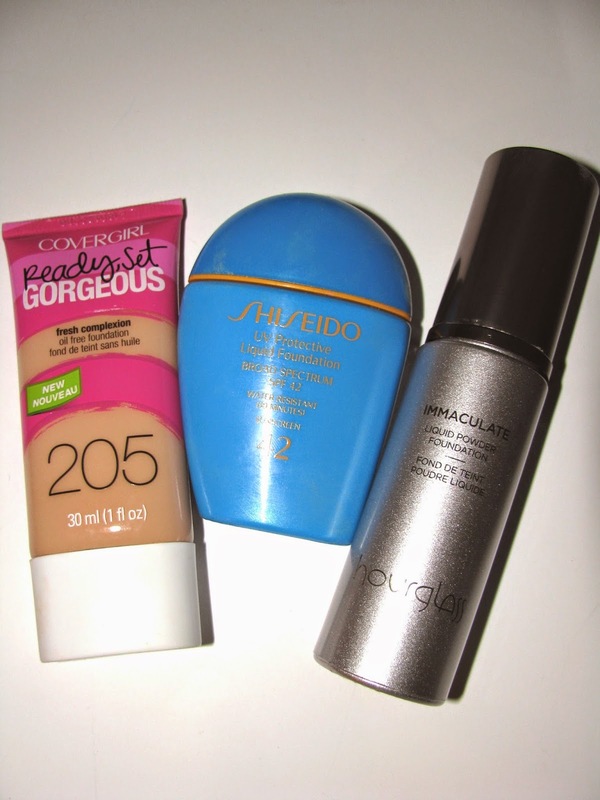 Ones that are the most meltproof, with the least wear off have been Shiseido's UV Protection Liquid , Hourglass Immaculate Liquid Powder and Cover Girl's new Ready ,Set Gorgeous, which says it is humidity resistant and has really surprised me with how well it holds up. 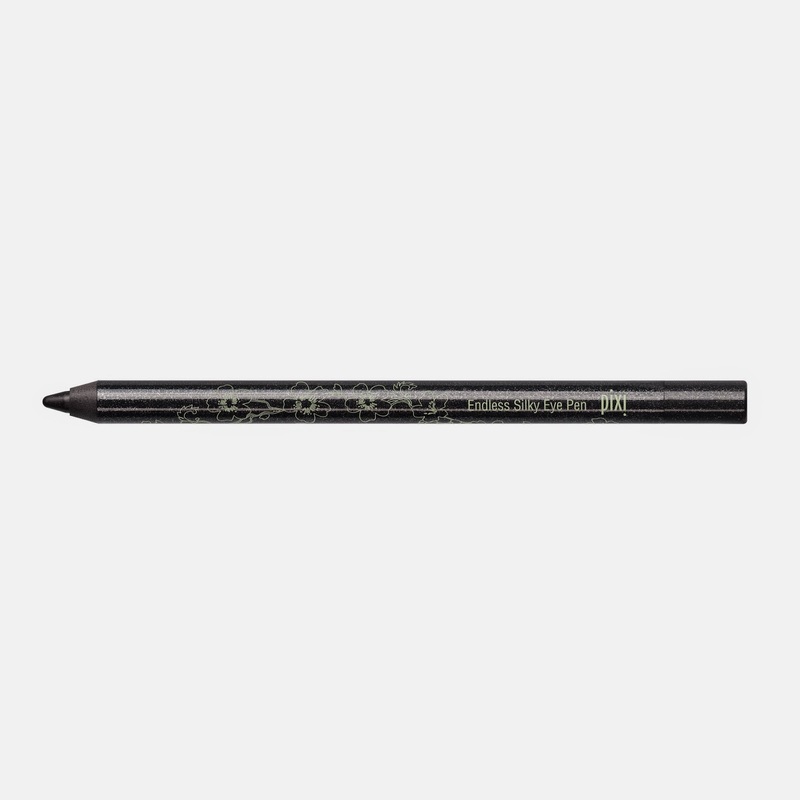 Eyes- Maybelline Color Tattoo Eyeshadow - These long wear creams are a saver in Summer. 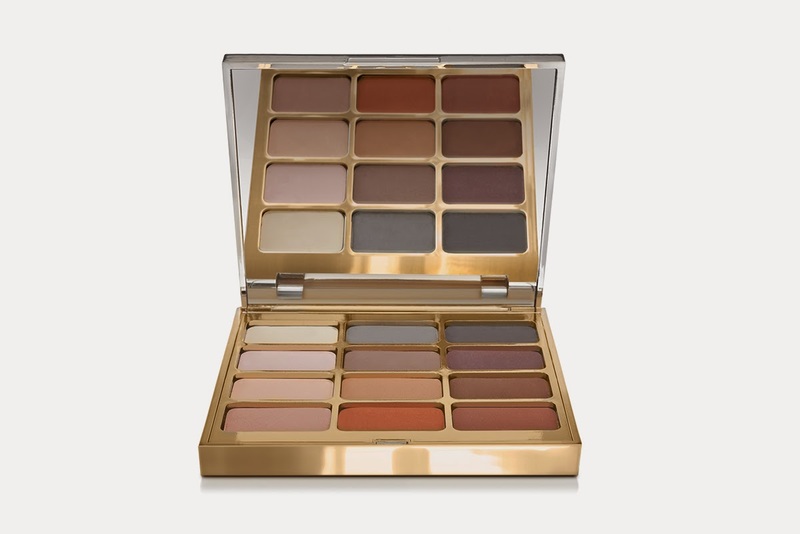 Easy to apply and long lasting, grab a beige or golden shade for a wash of color that even if it does wear off, doesn't leave behind a streaky mess. 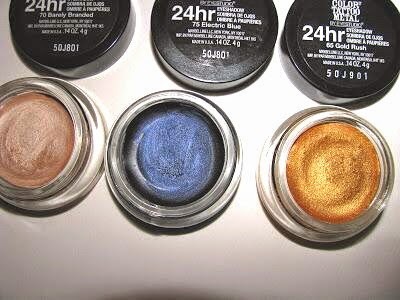 MAC's Paint Pots also do really well. 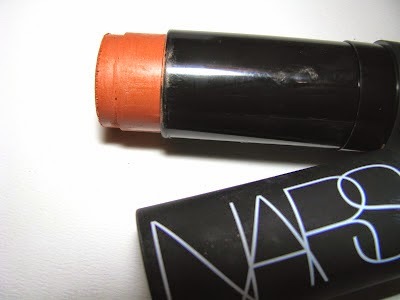 Cheeks- The NARS Mulitple -Creams are easier to apply to sticky skin without streaks but many , at least on me , are too creamy and fade fast. The Multiple dries to a powdery finish but it's still easy to blend. My fav shades ? Puerta Vallarta and South Beach. 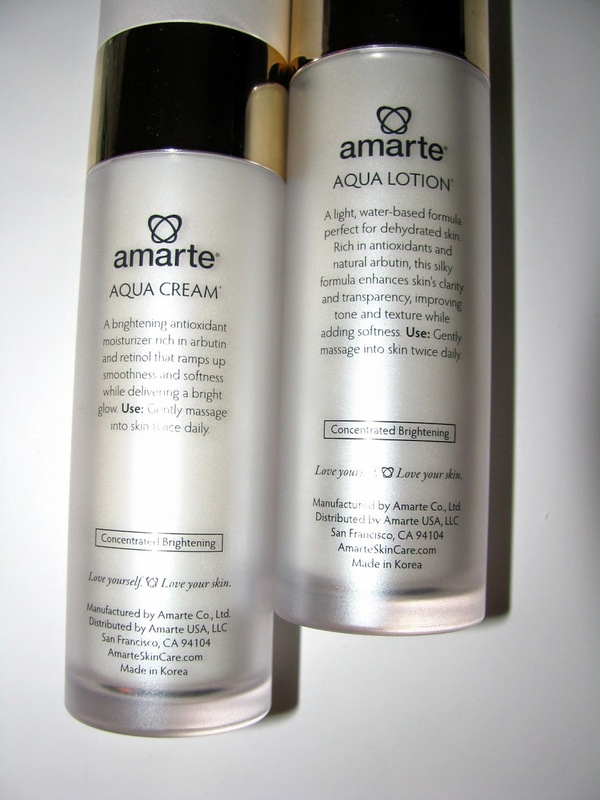 Having really liked previous offerings from Amarte, I was happy to try out their newest, ready for hot weather, lightweight products Aqua Cream & Aqua Lotion. When it's hot I , and probably you, don't want to put thick creams on my face. If you have very dry skin you kind of have to , but for those us with oily, or normal skin, lightweight formulas are a great option. Amarte packs plenty of skincare into their products , and these two new ones are especially good for brightening. 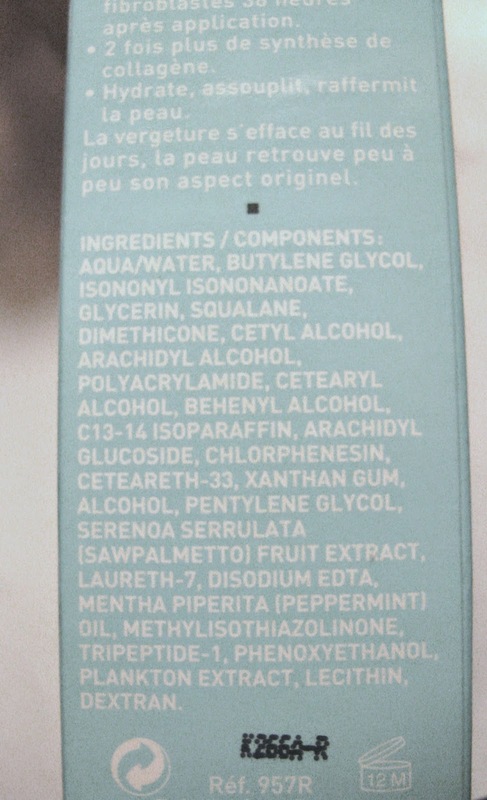 Aqua Lotion is thin but not runny and is water based. It's nicely hydrating with argan oil, glycerin and allantoin but feels very refreshing on skin and sinks in fast with a barely there feel. 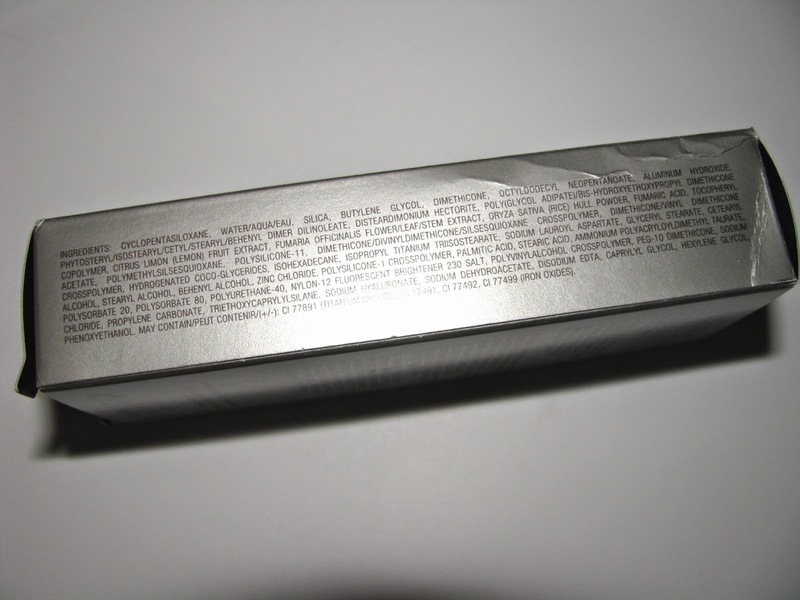 It has natural arbutin for lightening as well as antioxidants . It's been a perfect Summer choice to keep skin in shape without heaviness, and can be used day and night. Aqua Cream has 1% retinol in addition to many of the ingredients mentioned in Aqua Lotion. 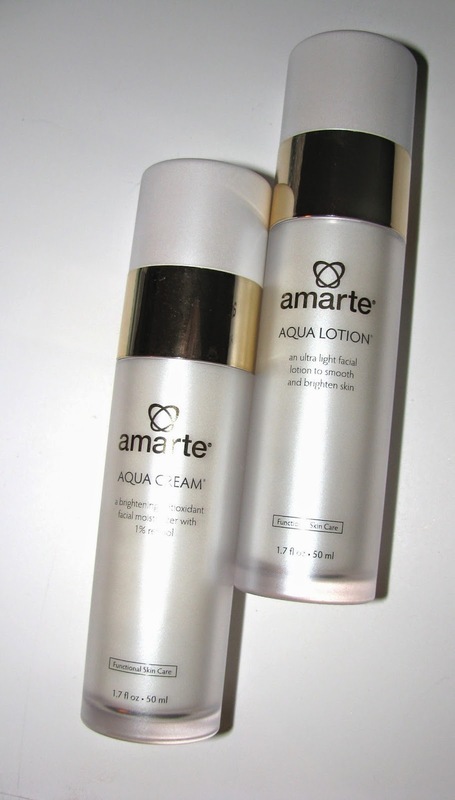 This helps even skintone and smooth , making it a good nighttime companion to the Aqua Lotion. It is a thicker cream , but still not heavy or greasy. 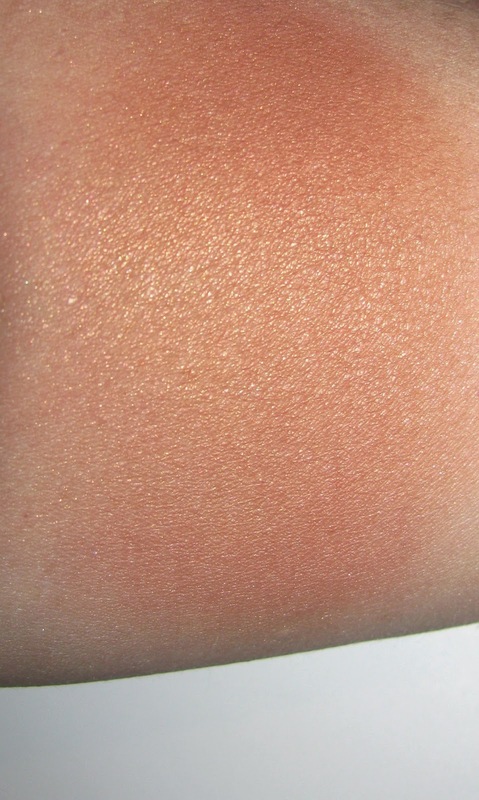 NYC's City Samba collection includes this multi shade bronzer , Sun N' bronze in two shade combos, Rosa Rio, and Coral Samba ( shown). 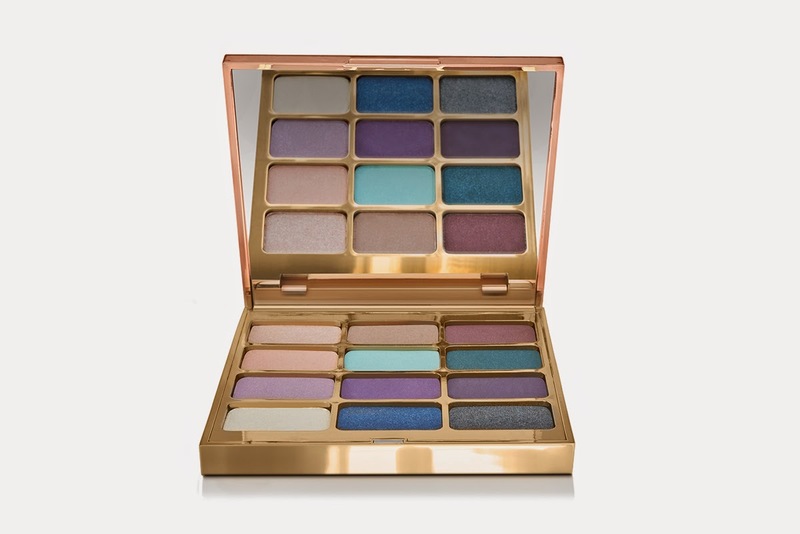 At first look , this seems super bold and bright, but on skin it's light and brightening/bronzing but not too deep. 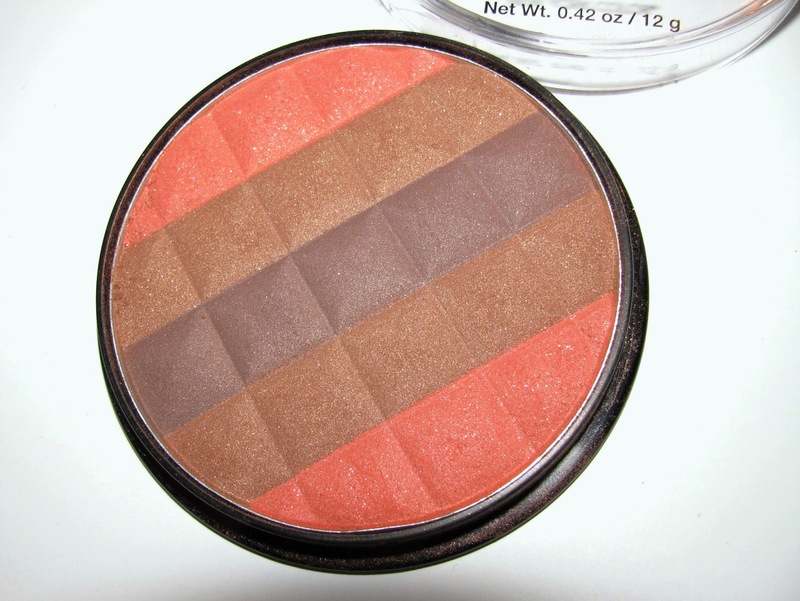 It's large enough to use just the bronzes or corals separately or blend together. Blended it makes a nice blush as well as all over color. There is shimmer but not tons so you won't look pixie dusted. Works well on decollete as well. 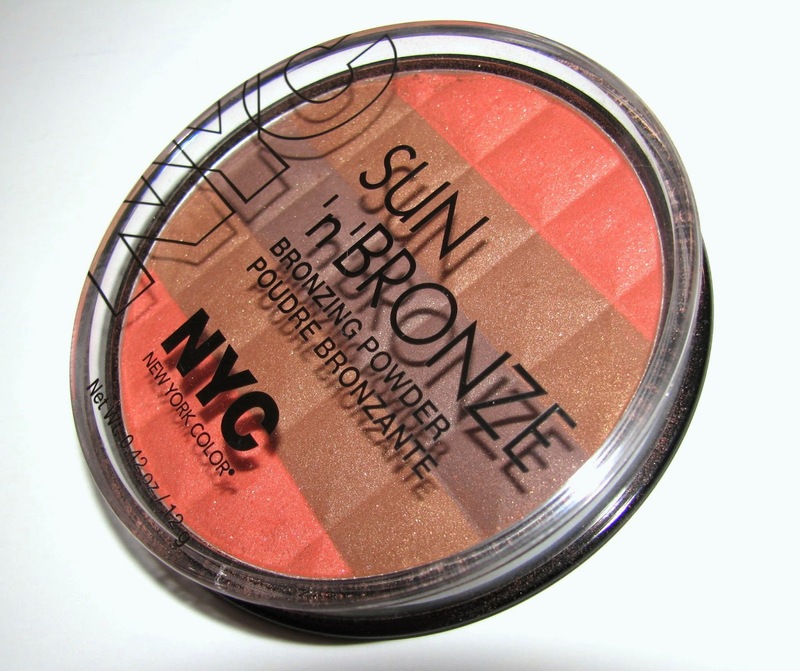 NYC Sun N' Bronze Bronzing Powder is $4.99 . 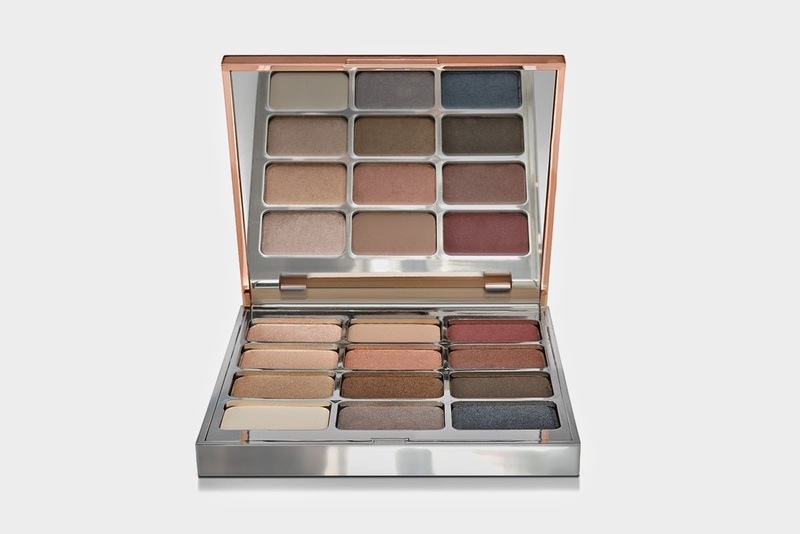 There are eight new , beautiful Chanel quads out just now in a reformulated Les 4 Ombres . 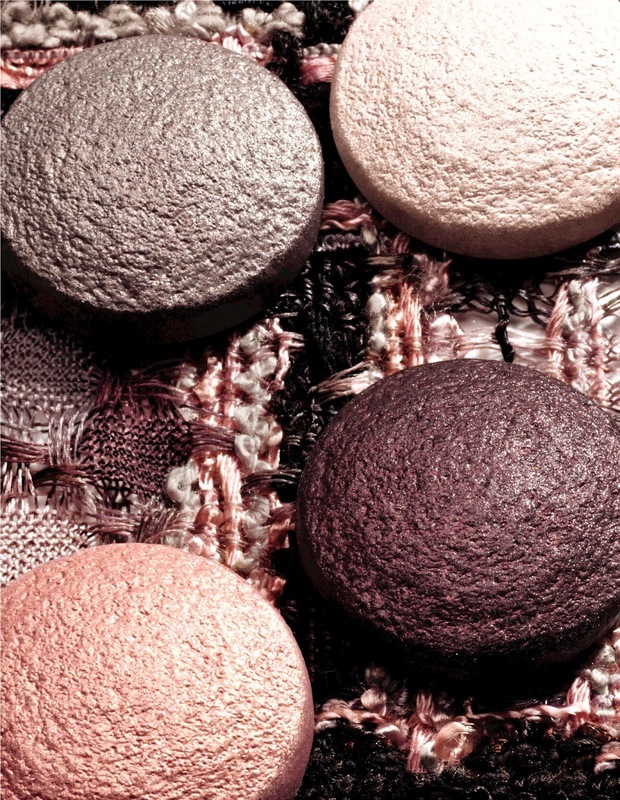 The new shadows inspired by the tweeds of the House of Chanel , are more pigment rich and are a baked powder formula. In addition to these new quads, six existing favorites remain in the permanent line in their original formula. While these are all rather nice, I am loving Tisse Venitien the most . 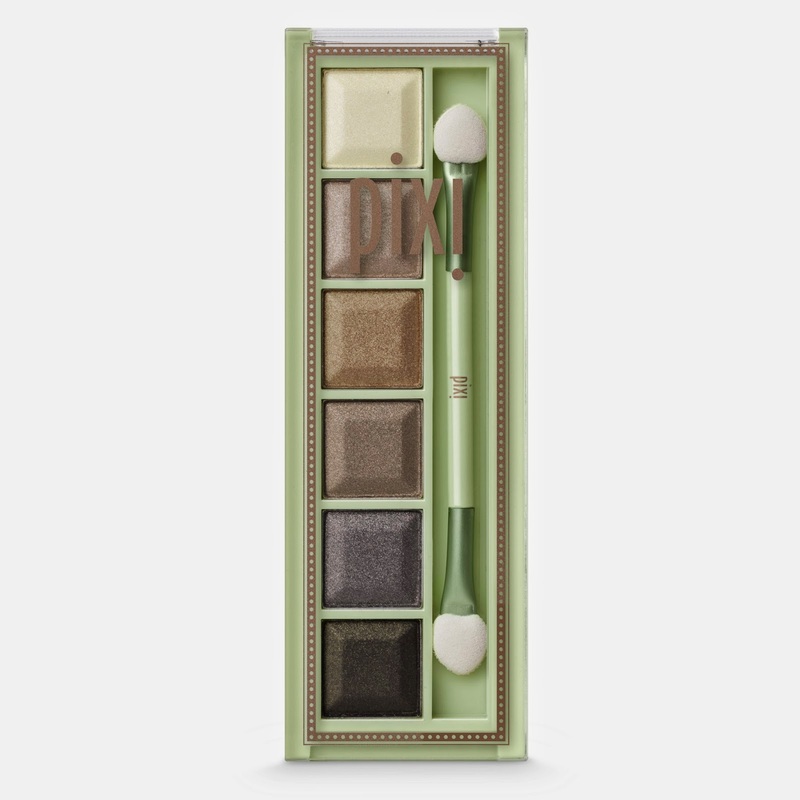 That rich green is simply gorgeous in the model shot. 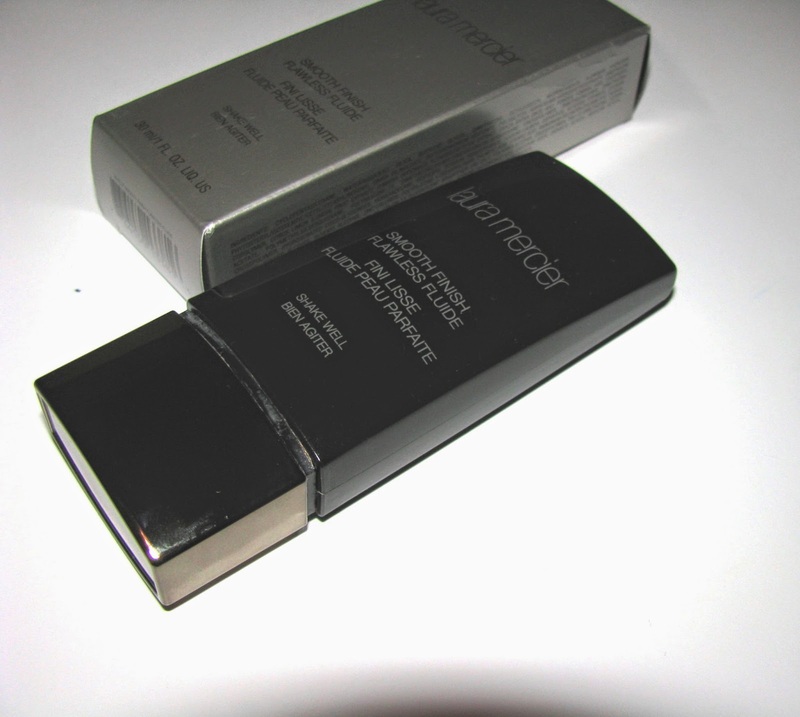 There's a new matte foundation out - Laura Mercier Smooth Finish Flawless Fluide. 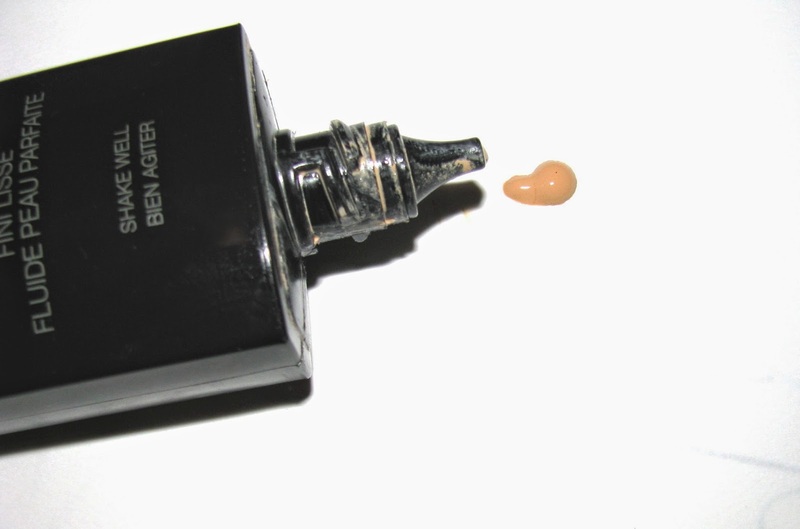 This is a liquid companion to one of my big favorites, Smooth Finish Foundation Powder. Where Smooth Finish Powder provides full coverage , Smooth Fluide is a lighter foundation. It's thin two part liquid ( shake to mix) that blends in easily and feels barely there. The coverage here is light to medium , buildable , it perfects and smoothes but doesn't cover spots and imperfections overly well. I do love the true matte finish . Skin is matted but soft looking. Wear time is good, it's listed as long wear, humidity and water resistant and sweat proof. It lasted well on me even in the heat . There was wear by early evening, but that's with serious sweat. Minus that, it should go much longer. Color selection is large with 24 shades. I have Vanille , shown. It is oil free and for normal to oily skins. Laura Mercier Smooth Finish Flawless Fluide Foundation is $ 48 and available now at Sephora and Laura Mercier.com. 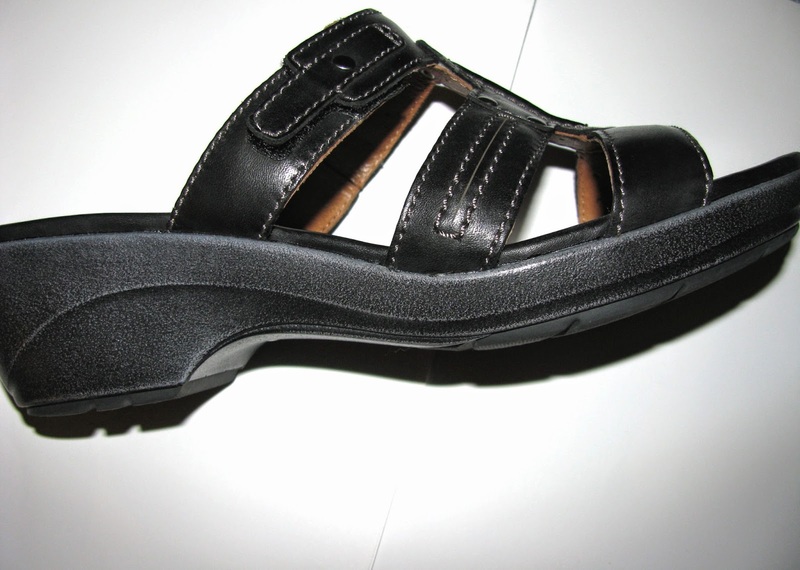 My go to Summer sandal is this studded , comfy one from Clarks , Un Judge. I try to find shoes that are comfortable but also stylish. I don't like to give up style. That's not always easy but it's getting better as brands realize how much of a market there is. When I started having some heel pain I went to Clarks sandals and while I wear my fancier ones too, even heels on occasion, when I need comfort for all day or more on feet time , that's where I go. My long search for a new pair of Clarks since my fav Ella style was dc'd , ended up at Un Judge. I loved the studding that's not too much but gives them an edge along with that little bit of heel . They work with skirts, pants and shorts. So far these have been nothing but comfort out of the box. I got a good deal and now they're even cheaper so I just ordered another color. That almost never happens except with my adored Tretorn sneakers. Clarks Un Judge are available on Amazon for $55 and under currently. Verbena is one of those refreshing scents. A little citrus, a little herby , a little masculine ( it's quite unisex really). For Summer it makes a nice way to get a lift during the day or a cooling burst of scent in the evening. L'Occitane's new Verbena Frisson Collection brings us a lightly scented group of products using organice Verbena to keep us going all day long. I particularly love the idea of Cooling Body Gel . Chilled it would be even better. I had a similar gel from another brand about 5 years ago and loved it. 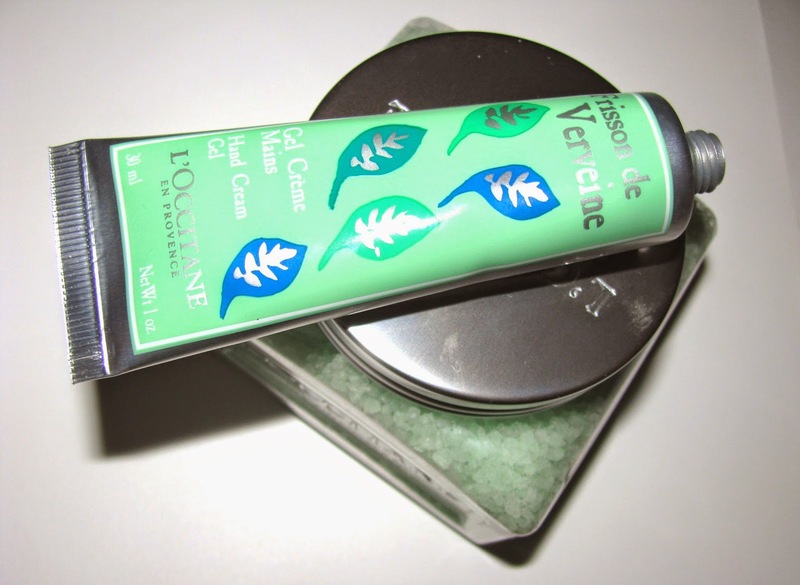 New here also is a Hand Cream Gel , not as thick as their legendary shea butter hand creams , this one moisturizes nicely with a good whiff of Verbena but isn't sticky or heavy. Verbena Frisson EDT ($55): The invigorating scent of Verbena leaves blended with the freshness of spring water. Fresh Shower Gel ($20) Formulated to gently cleanse skin. Cooling Body Gel ($25): This ultra-hydrating gel is formulated to keep skin feeling moisturized & revitalized all day long. Refreshing Body Mist ($16): This mist delivers an intense burst of freshness in a travel-size bottle . Ice Gel for Legs & Feet ($22): Designed with an easy roller ball applicator, this ice gel is a great way to cool off and relax muscles . Hand Cream Gel ($12): Enriched with Mint Essential Oil, this hand cream gel actively works to restore and hydrate skin, while leaving hands incredibly soft and smooth. 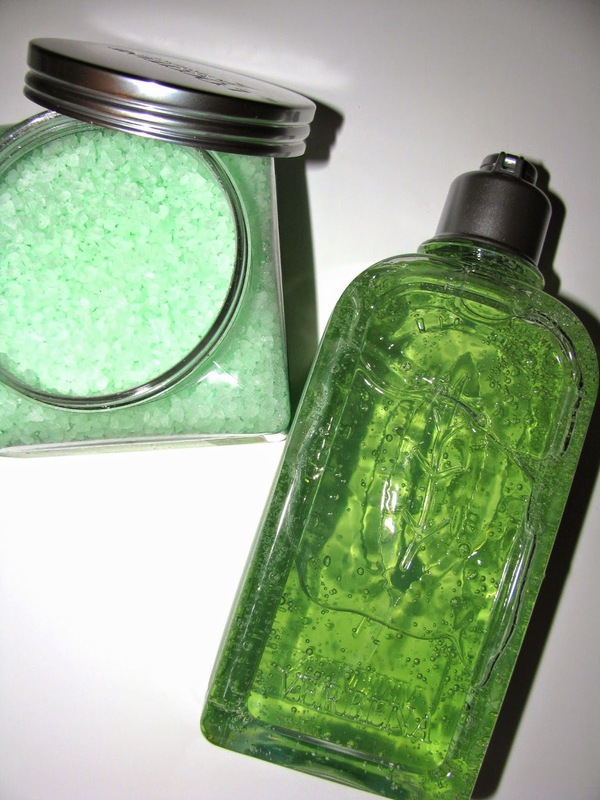 Frisson Verbena Bath Salts ( $24) - Relax in the Verbena scent. Also on July 17th at L'occitane stores, stop in for a Verbena infused cocktail with any $ 25 purchase and a free gift with a $ 55 purchase. 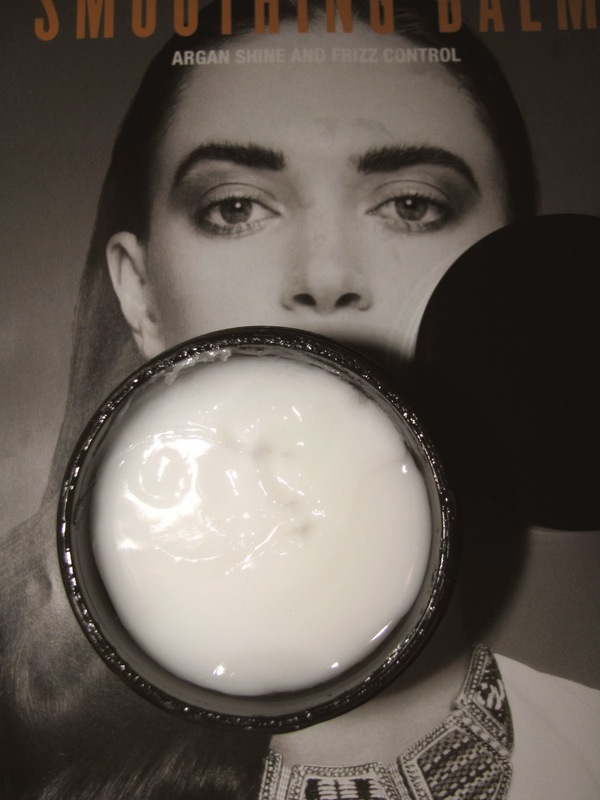 If you're trying to beat stretch marks, Talika has a new treatment cream to help fade them. Talika realized after reading a Univ. of Pennsylvania study that stretch marks aren't scars and need to treated differently. According to the company "Stretchmarks are caused by a contraction of the fibroblasts which then produces dysfunctional collagen and elastin giving the skin a grooved effect." Zero Strech Marks has a patented ingredient, D- Stretch, which has Saw Palmetto to relax the fibroblasts and help to get them back to their original collagen level and hopefully reverse the marks. I , luckily, don't have any stretch marks so I can't tell you how this works, but if you are having issues with them, it's certainly worth a look. The French take their skincare very seriously.